<map> tag define a map with clickable areas. 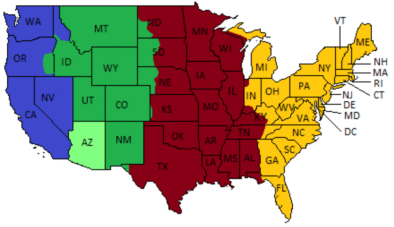 Following is a map of USA with different time zones marked in different colors. If you click at the right side or left side of the map, you will be redirected to pacific time zone or eastern time zone page. The "name" attribute cannot be empty.